The health ministry in Turkey has launched an investigation after a Syrian boy, who later died, was refused treatment at four hospitals in the province of Antalya for not having an ID card. Ali Izzettin Ahmed, 7, had a fever and was taken to four hospitals by his father Izzettin Ahmed, Dogan News Agency reported. The father says that they got turned away at all of them when staff learned they were Syrian and had no ID. “My son was suffering from high fever. We went desperately from hospital to hospital but no one accepted us because we didn’t have an ID,” said Ahmed, quoted by Hurriet Daily News. The father found his son dead in the early hours the next day. He’s is now afraid that the same thing could happen to his other sons. “I have two other sons. What are we going to do if they suffer the same fate? We can’t send our children to schools anyway. We don’t want to make a fuss about it, but at least their treatment should be seen to,” he said. Turkey’s Health Ministry has announced the launch of an administrative investigation. “The investigation was initiated by the order of Recep Akdağ, the Turkish Justice Minister, and the results of the investigation will be shared with the public,” a statement said, according to Turkish Diken news outlet. “Individuals are to receive necessary health care when they come to our hospital emergency services and when it is clear that they have an emergency. Identity checks are carried out afterwards,” the statement continued, stressing that hospitals are not authorized to distinguish between Turkish citizens and foreigners. 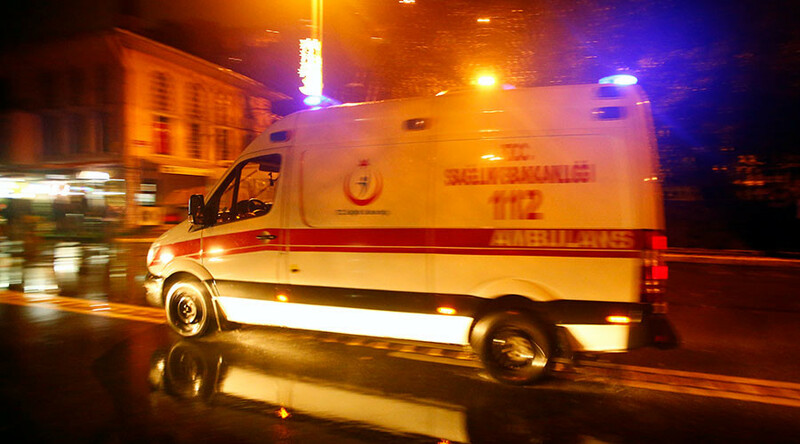 The man says he took his sick child first to the Antalya Research and Training Hospital, then to the Sütçüler State Hospital in Antalya’s Kepez, followed by the Atatürk State Hospital and a child’s hospital in the Demircikara neighborhood. All of the institutions refused to treat the sick boy. A local forensic team carried out an autopsy on the boy who was then buried at a local cemetery. Police took the father to all four hospitals to identify those who turned him and his son away.